Written by marc. Posted on September 8, 2009. Filed under Other. Tagged Alan Palomo, disco-pop, indie, MGMT, Monolith Festival, Music Crush of the Week, Neon Indian, Red Rocks, VEGA. No comments. If pop artists in the 70′s had MacBooks and Logic Studio, they may have come up with something reminiscent of Neon Indian. There’s immediate allure, from the first wave of synth washes and ultra-compressed 2-step beats. Neon Indian sounds at once both familiar and fresh. It’s the sound of technology aiding their ability to be backwards compatible. Compared to MGMT, Neon Indian is shrouded in mystery. Apparently keeping your identity under wraps is the current indie-marketing rage. The duo is rumored to be Austin-based Alan Palomo of disco-house-pop group VEGA and…well, some chick from Brooklyn. A full-length is due out in October. 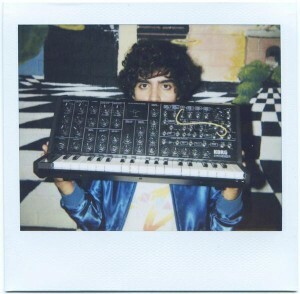 We’re looking forward to seeing Neon Indian live this Sunday at Monolith Festival up at Red Rocks. We’ll shed some light on Neon Indian’s identity and share some highlights from the weekend. Fun Fun. Written by michael. Posted on September 2, 2009. Filed under Other. Tagged Bat For Lashes, Hump Day, Morning Becomes Eclectic, Music, Music Crush of the Week, Natasha Khan, Two Suns. 1 Comment. Natasha Khan is Bat For Lashes. What better way to beat hump day than checking out new music? We start this Music Crush of the Week feature with Natasha Khan, better known as Bat For Lashes. Two Suns is the latest effort from Brighton, England-based Bat For Lashes. This is eclectic stuff. Part programming and electronics, part tribal rhythmic roller coaster, part New Wave…the music is interesting and engaging. But the real reason you need to listen: Natasha Khan’s voice is absolutely stunning. Incredible. Album opener “Glass” is representative of Bat For Lashes. It starts unique and mysterious and gradually grows ever-more captivating until Khan belts her way through the climax of the song.